Cyber criminals have raided the accounts of thousands of British internet bank customers in one of the most sophisticated attacks of its kind. The fraudsters used a malicious computer programme that hides on home computers to steal confidential passwords and account details from at least 3,000 people. The internet security experts M86, who uncovered the scam, estimate that at least £675,000 has been illegally transferred from the UK in the last month – and that the attacks are still continuing. All the victims were customers with the same unnamed online bank, the company said. Last night online banking customers were urged to make sure their anti-virus software was up to date – and to check for any missing sums from their accounts. The attack has been traced to a ‘control and command’ centre in Eastern Europe. However, the nationality of the cybercriminals is unknown. Keep firewalls set to the highest level. Never double-click on an e-mail attachment that ends in .exe. It is an ‘executable’ file and can do what it likes in your system. If you think your machine has already been infected, contact your bank immediately. If the bank thinks you are a genuine victim of fraud it will reimburse you. The attacks were carried out when hundreds of thousands of home computers were infected with a type of harmful computer code called a Trojan. Trojans hide in websites, emails or downloads. Once installed on a computer they can record every type of the keyboard, steal confidential information or even open up a PC’s security so that it can be controlled remotely from another country. The latest attack involved a Trojan called Zeus v3 which hides inside adverts on legitimate websites. Once installed on a home computer, the programme waits until the user visits their online bank and then secretly records their account details and passwords – using the information to transfer between £1,000 and £5,000 to other bank accounts. The attacks began on July 5 and are still progressing, according to Ed Rowley, product manager at M86. ‘In the vast majority of cases, if people had kept their computer’s operating systems and software such as Internet Explorer up to date they would not have been attacked,’ he said. McAfee, the security software maker, said production of software code known as malware, which can harm computers and steal user passwords, reached a new high in the first six months of 2010. It said total malware production continued to soar and 10 million new pieces of malicious code were catalogued. It also warned users of Apple’s Mac computers, considered relatively safe from virus attacks, that they may also be subjected to malware attacks in the future. ‘For a variety of reasons, malware has rarely been a problem for Mac users. But those days might end soon,’ a spokesman said. Attacks by ‘Trojan viruses’ are on the rise in Britain. Although up-to-date anti-virus software should prevent an attack, experts say an alarming number of people leave their computers vulnerable to cybertheft. Trojans are malicious programmes that hide inside apparently harmless computer files. They can lurk on websites, online adverts or hitch a lift in emails. olved in the latest attacks hides in adverts that appear on legitimate websites. Each time someone clicks on the advert, the code is downloaded to their home computer where it lies dormant. The code only becomes active when the computer connects to a bank website when it starts to record account details, passwords and other confidential information. It checks to see if the account holds enough cash and then transfers up to £5,000 to a ‘mule’ account – a legitimate bank account held by a real customer. Owners of these mule accounts operate on the edge of the law and agree to transfer sums they receive to someone else, after taking a cut. By the time the police have investigated a Trojan attack, the recipient of the money has usually vanished without trace. 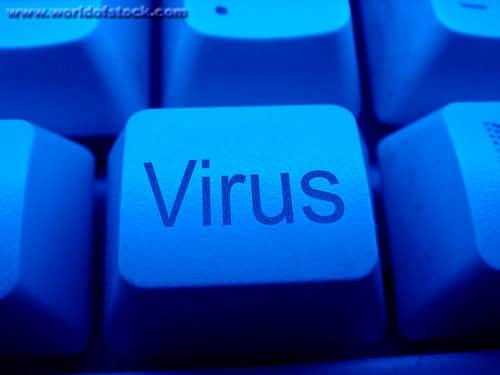 Security experts say it is relatively easy to protect against Trojan attacks by installing anti-virus software and keeping it up to date. Computer owners should also make sure they have downloaded any updates of their operating software – usually Windows – and other programmes such as Internet Explorer, Firefox and Adobe. People should also be alert to junk emails that pretend to be from banks, the Inland Revenue or online shops like Amazon and Ebay. The emails invite the unwary to click on a link to a webpage containing a Trojan. ‘Our latest threat report depicts that malware has been on a steady incline in the first half of 2010,’ Mike Gallagher, chief technology officer of Global Threat Intelligence for McAfee, said in the report that was obtained by Reuters. The internet security company has passed on details of the attacks to the UK Police Central E-Crime Unit in London. Britain‘s high street banks declined to comment on the attacks, but urged customers to protect themselves from virus attacks. A spokesman for HSBC said: ‘There are millions of viruses and other malicious software. ‘We urge people to take basic measure to protect themselves from virus attacks. Last year £59.7 million was stolen in online banking fraud, while another £440 million was lost to credit card fraud. A Financial Fraud Action UK spokeswoman said: ‘The idea that criminals are targeting people by using malicious software or Trojans is nothing new. ‘Bank systems are hard to attack so they’re having to go through the easier link in the chain, which is the customers. Online banking customers can take measures to protect themselves by keeping their anti-virus software up to date and keeping their firewalls set to the highest level, she added. Victims of online banking fraud usually get their money back. Earlier this month, an internet security company Trusteer, warned that 100,000 British computers were infected with an earlier version of Zeus. How to check if your antivirus is working properly ?